An autonomous sensor module is attached to the back of an artwork such as a portrait. This sensor reads the temperature and relative humidity at the front and back of the object, as well as the level of light and vibration to which it is exposed. 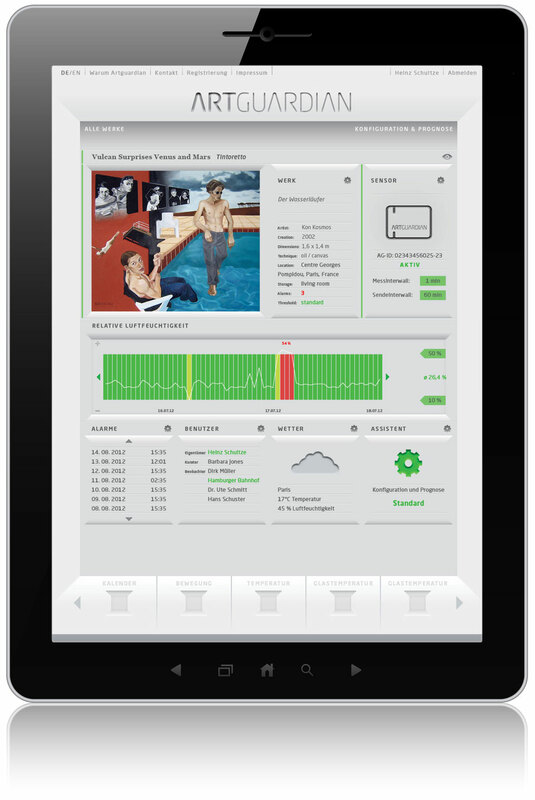 The measured parameters are transmitted by the sensors via base stations to the ArtGuardian computing platform. Both the base station and the sensor module are equipped with a near-field communication (NFC) interface. Each station is able to receive read data from up to six sensors at a maximum distance of 10 to 15 meters. 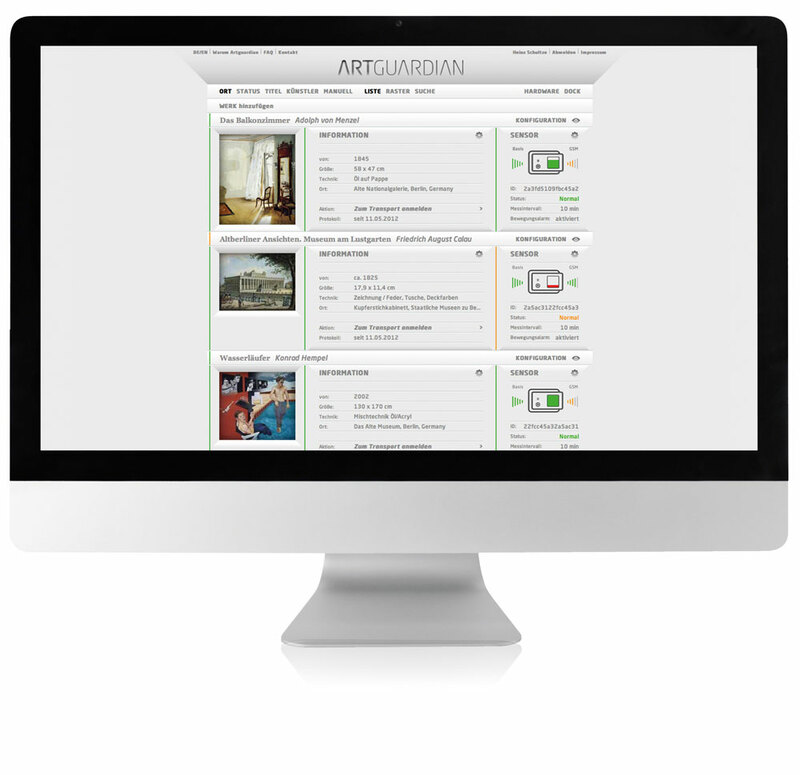 The ArtGuardian software is the core of this innovative tool for the preventive conservation of vulnerable artwork. The user accesses all available information and features via a computing platform. Individual parameters can be set and modified at any time and the continuous monitoring of the microclimate allows users to respond in a timely fashion where necessary. The data readings are evaluated using a special prognosis assistant, which, using the ArtGuardian protocols, suggests the preventative conservation measures most effective for the artwork in question. The ArtGuardian system is based on a detailed, scientific set of protocols that facilitate optimal collections care. Material, general condition, age and other known influences are factored into the analysis of an object’s required environmental conditions. The aim is identifying hazards to individual artworks as early as possible and determining the most effective preventive measures.